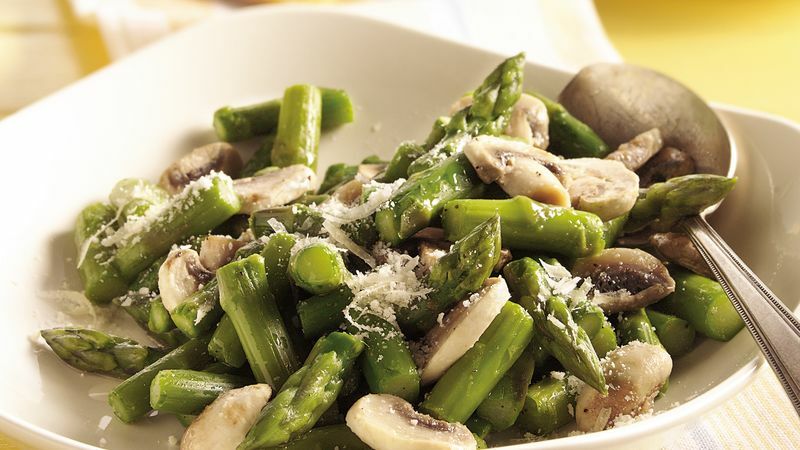 Cook asparagus as directed on package–except add mushrooms during last minute of cooking; drain. Stir remaining ingredients into asparagus and mushrooms. Want to use fresh asparagus? Cut 1 pound of asparagus into 1-inch pieces. Cook in boiling water for 4 to 6 minutes or until tender. Top this tasty side with shredded fresh Parmesan cheese.